Jayesh is a dual qualified lawyer. He was Called to the Bar in 2002 and cross qualified as a Solicitor Advocate whilst working at MLS Chase Solicitors in Westminster. In 2007, he founded Axiom Stone and served as its senior partner until his arrival back at the Bar in 2012. Jayesh now spearheads the India Desk at 33 Bedford Row but also works at the employed bar at Carter Bond Solicitors. He has extensive experience in litigation and alternative dispute resolution having advised multi-national corporations, including one of the world’s largest international steel companies. He has represented clients at all levels including proceedings at the European Court of Human Rights as well as in the Civil Division of the Court of Appeal. Jayesh often represents in fast and multi-track cases at the County and High Courts in litigation matters of all kinds, including contractual, tort and breaches of fiduciary duties. He has experience in dealing with bankruptcy and insolvency proceedings as well as defending fraud prosecutions brought by public authorities. One of his main area of expertise lies in representing doctors and health professionals before regulatory bodies/tribunals in disciplinary matters. Over the past years, he has developed a fierce reputation in the defence of doctors and health professionals before the GMC, GPHC, NMC and the HCPC where he has defended dentists, psychologists, pharmacists, paramedics, physiotherapists, hearing aid audiologists and doctors to name but a few professionals before Fitness to Practise Panels.Further, his recent successes before the GMC’s Registration Panel has seen reported cases at the High Court. His particular niche is representing foreign and Indian doctors wishing to become specialist Consultants via the GMC’s Certificate of Eligibility for the Specialist Register (CESR) - (formerly known as PMETB's Article 14 route). Jayesh is Chairman of the Indian National Bar Association – UK Chapter. He also serves the All Party Parliamentary Group (APPG) for British Hindus on a secretariat position, advising cross party MPs and Peers in Parliament on matters relating to Hindus and India. In 2015, Jayesh was asked to be a member of the core team that organised the historic community event at Wembley Stadium where the Indian Prime Minister, Narendra Modi and the UK Prime Minister, David Cameron addressed the largest gathering of British Indians ever. 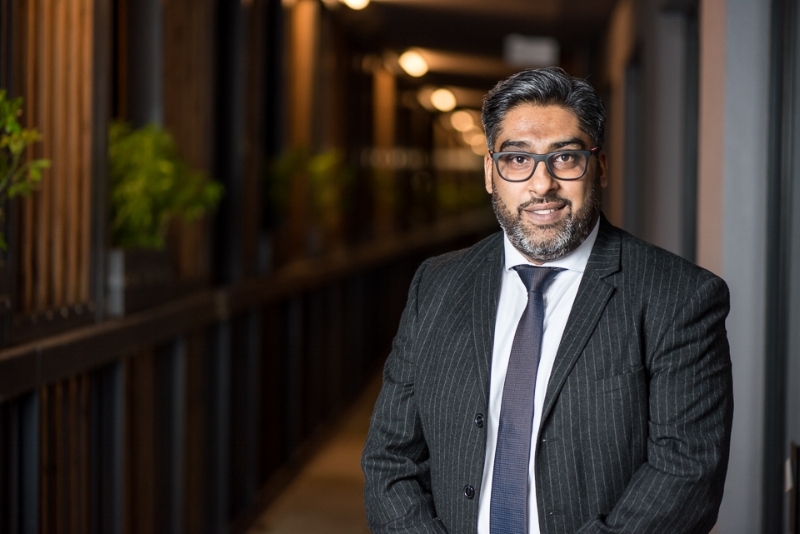 Recently, Jayesh succeeded at the High Court, overturning a GMC registration appeal, which in turn was re-heard, eventually leading to a doctor’s successful registration with the GMC. Was instructed as junior counsel on a fraud prosecution brought by a local council where court proceedings lasted 2 months. Successfully defended a non-molestation order which was dismissed and costs recovered. Advising a UK business with regards to partnering up with Indian companies in the energy sector. Successfully defended an Indian doctor before the Medical Practitioners Tribunal Service on 19 counts of misconduct. Chairman of the Indian National Bar Association – UK Chapter, part of the secretariat team of the All Party Parliamentary Group (APPG) for British Hindus, football (supports Liverpool) and diving.